I am very satisfied with everything A1 Roofing has done. I would be more than happy to let anyone stop by my home to see the great work they did! Sean’s recent completion of the shingle roof at 6 Record Street exceeded my expectations. The crew did a thorough and complete job. Four months have passed and the roof is tight and with no leaks. Thank you for your good work. 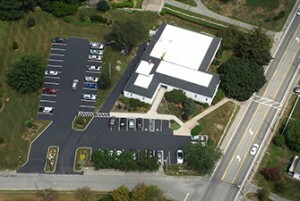 Portsmouth Free Public Library contracted wtih A1 to replace our 25+ year old roof. 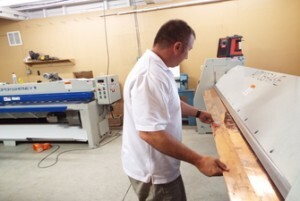 Sean and his crew took into consideration our hours of operation and were as unobtrusive as possible. The project was of very high quality, on time, and within the estimate provided. There’s never any need for you to doubt that your residential or commercial roof is performing at its absolute best when you have the help of A1 Roofing & Construction. 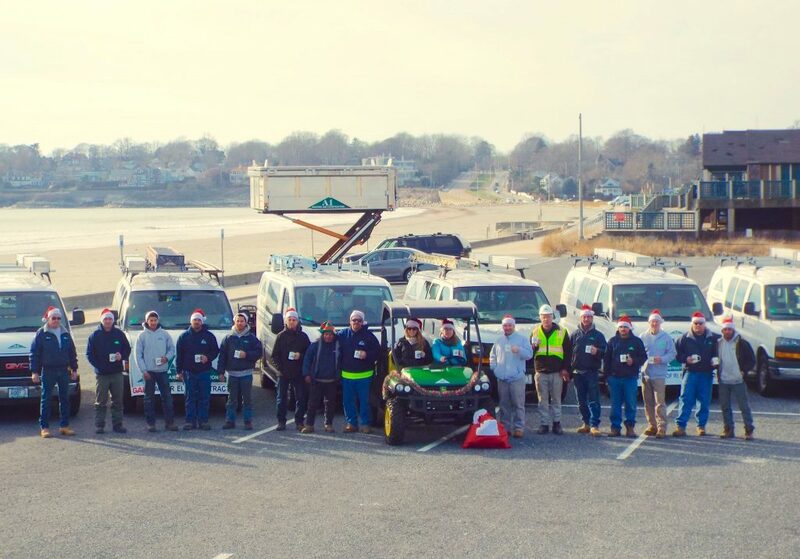 We specialize in a variety of services for roofing from Newport RI to Warwick to Providence to Southeastern MA to keep roofs in tiptop shape all year round. From installation and repair to gutters, downspouts and custom metal flashings, there’s no length we won’t go to in order to ensure you have the absolute best roof. 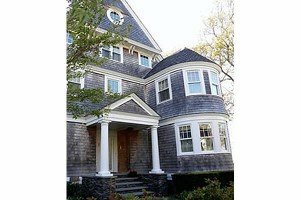 We are a RI roofing contractor in based in Newport RI with more than 25 years of experience in construction and roofing. We are both residentially and commercially licensed in RI, and are licensed in MA as well. We’re proud to be a not only GAF Master Elite Certified but also a Carlisle Certified Applicator, IKO Certified, and a CertainTeed Shingle Quality Specialist. 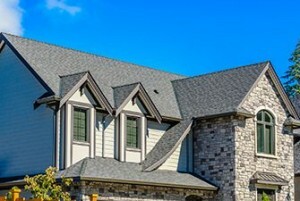 Every job we do is performed with quality materials as well as the latest roofing techniques and safety standards. We hope we’re the first and last company you have to contact the next time you need professional roof repair. Our technicians are dedicated to complete customer satisfaction as well as helping our customers learn more about how to take care of their roofs. 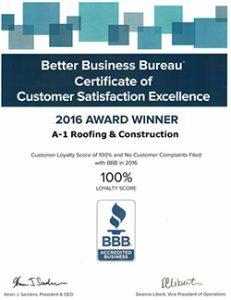 We realize that having a number of top rated industry certifications and specializations only gets us so far with our customers, which is why we also like to let our customers know that that A1 Roofing & Construction has received an A+ rating from the Better Business Bureau. 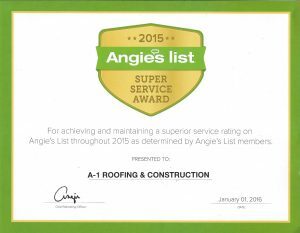 We are also recipients of the Angie’s List Super Service Award in 2013, 2014 and 2015. Though your roof might look as though it’s in good condition, there might be signs that some repairs need to be taken care of. Feel free to contact A1 Roofing & Construction for a free estimate on your roofing needs in RI and Southeastern MA by calling (401) 265-1019. Alternatively, we welcome you to submit a quick and easy estimate form while you’re here at our site and we will get back to you quickly.